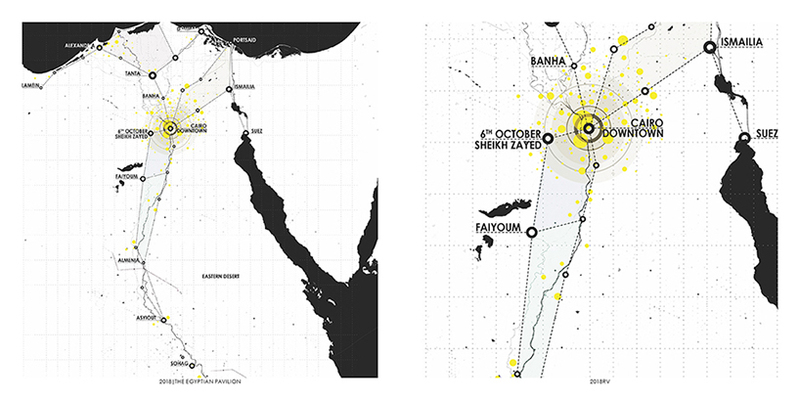 the egyptian pavilion ‘roba becciah’ for the venice architecture biennale 2018 edition proposes the theme of strategic redevelopment of spontaneous commercial spaces across the entire country. in many urban and suburban areas, the phenomenon of ‘free’, unstructured, illegal trading reaches such high levels that it is the predominant element to drive the use of public space. the traditional souk confined to the narrow streets and interstitial spaces of historical areas has conquered new territories. in egyptian cities, the space of commerce extends its tentacles seamlessly along the lines of urban streams without any rule. in addition, this phenomenon is not temporary. it is not sporadically limited to daylight hours or few days a week. the commercial space is permanent between buildings and roads, invading free lots, girders, and underpasses. in some cases, few spaces intended for public use and leisure must be fenced off and paradoxically closed, in order to not be invaded by the ever-expanding commercial activities. in other cases, there are real ‘city-markets’ with specific ‘administrations’ and self-governing tools extending to the point of forming semi-autonomous districts within the metropolitan territory. the research of roba becciah‘s curatorial team focused on the content that specifically activates these strategic urban areas. the trading of ‘the informal city’ is a large portion of all market activities. disused items produced and dismissed by consumerist societies are first collected, and then stacked in areas creating mono-functional enclaves for future trading purposes. the space that houses the trade of these objects is perhaps the true, ante-litteram, junkspace. ‘roba becciah — the informal city’ represents an important metaphor of the anthropological-urban condition of the contemporary world. it is an ancient form of recycling and involves, in different ways, all the layers of the society. it is not only interesting because of its social role; indeed, it is capable of gaining geographic value by determining the spatial fruition of substantial areas within urban territory. in addition, it influences travelling through to the city and the development of residential areas, it conquers and reintroduces functions in abandoned areas, and it builds economies on the waste of the society. thinking of designing the space of the ‘urban market’ means rethinking the role of ‘free space’ within the dense morphological and social fabric of the city. it is a proposal that aims at the upgrading and ‘governance’ of large urban areas allowing a ‘free use’ that contributes to a better living of contemporary metropolises. 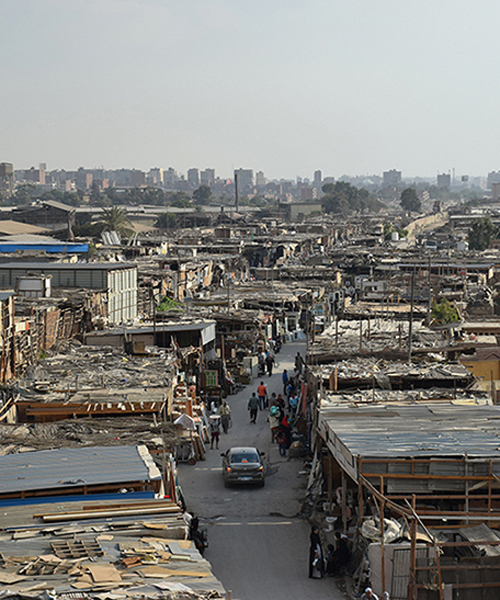 The Egyptian Pavilion for the 2018 Venice Architecture Biennale is set to focus on the redevelopment of spontaneous and unstructured commercial spaces across various cities in Egypt. Proposed as part of a competition hosted by the Egyptian Ministry of Culture, the curators of this year’s pavilion are Dubai-based Egyptian architects Islam Mashtooly and Mouaz Abouzaid, as well as assistant professor at the American University of Sharjah, Cristiano Luchetti. Art director, Giuseppe Moscatello has collaborated with the curators for the pavilion as well as working with the team in an advisory capacity. The theme of the pavilion is titled ‘Roba becciah: The informal city’, and examines the concept of ‘roba becciah’ (disused items that are collected for trading purposes) as a metaphor but also as the driving content behind the creation of unsupervised commercial ”junkspaces”.